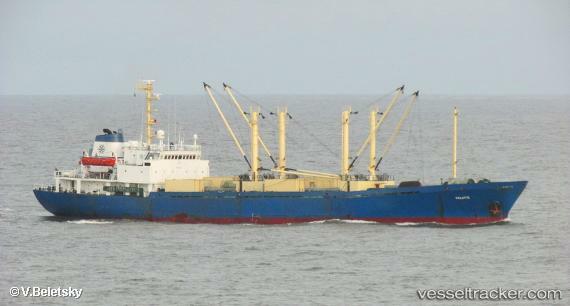 he Deputy Chancellor of the Lithuanian Government Rimantas Vaitkus has announced that Lithuanian seafarers taken hostage from the ship Solarte off the coast of Nigeria have been freed. Deputy Chancellor Vaitkus told news agency ELTA that hostages were freed on Friday. The owner of the ship informed the deputy chancellor that all of the freed hostages are being checked at the local hospital and are healthy. “They are supervised by doctors. We will return them home once it is possible. The owner of the ship will take care of their journey,” Vaitkus told ELTA. The deputy chancellor did not go into detail under what circumstances the seafarers where released and if a ransom was paid. It is expected that representatives of the Ministry of Foreign Affairs of Lithuania will contact the seafarers in the nearest future. As reported, two citizens of Lithuania and two citizens of Ukraine were captured from the ship Solarte near Port Harcourt in late October. The vessel is registered in Bahamas and is sailing under the flag of the Comoro Islands. There were a total of 16 Lithuanian seafarers on the ship at the time of the incident. The "Solarte" was attacked by pirates in position 03 55N 005 26E, 100 miles west of Port Harcourt on Oct 19, 2015, at 8.30 p.m. The vessel was en route to Port Harcourt from Cotonou Benin. The pirates hijacked four crew members, including two Lithuanians and two Ukrainians. On the whole 19 sailors were on board the ship, comprising three Ukrainians and 16 Lithuanians. The pirates stole ship’s cash, destroyed equipment and kidnapped four crewmembers before escaping.